Women — we’re more than our legs and our curves, more than what society deems us to be. More than our lip gloss and makeup brushes. We’re intelligent, fierce, and we know what we’re doing. We run offices, take care of our families, and have the privilege to start human races if we please (and that’s all in despite of our monthly visitors). Women — not babes, chicks, or “that girl.” We’re women and were taking over. However, this boss-mentality wasn’t always where it needed to be. 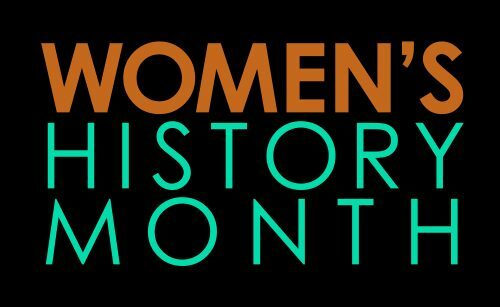 From the unfair pay to being underestimated so many times that succeeding is “sleeping our way to the top.” Women’s History Month is about reminding everyone and thanking the people who went through the struggle just to have our voices heard. It hasn’t even been 100 years since we got our right to participate in government elections. Times have changed no doubt, however there’s still room for improvement. Men, sometimes even our own women, minimize our abilities. Do you not realize that we have the brains to do absolutely anything we want? How we don’t necessarily need other men to start families? Being a female is more than they are put out to be. Independent, lead role individuals such as Eleanor Roosevelt, Oprah Winfrey, Malala Yousafzai, and others have owned and recreated the title of being a woman, and because they showed their abilities, we all have the power to do so. To all ladies, never forget what you can do and don’t settle because you’re worth way more than you think.